This Light Award is sponsored by the Henry Thomas Hamblin Dynamic Thought Book and processed through Kiva.org. Zahra has been selling clothes since 2005. She sells women's and men's clothes. Zahra is a 43-year-old woman who lives in Lebanon with her husband and their two children. 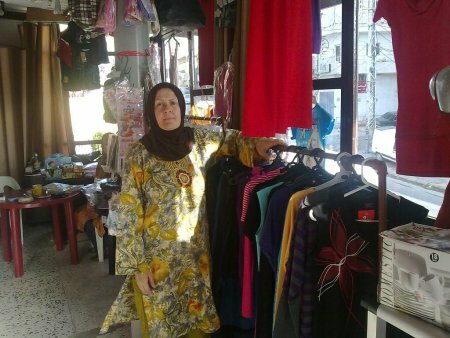 Today, for the first time, Zahra has requested a loan of 2000 USD from Al Majmoua, a Kiva partner, in order to purchase the new summer collection for her shop, as well as to repaint her house. Zahra is always trying to fill and improve her shop with the latest collection in order to attract more clients. Her clients are her friends and neighbors. Zahra is a determined woman who does her best to improve her sales, as well as her home financial situation. She decided to work in order to provide the best to her children, which starts with the best education. She plans for the future to be able to improve her work.